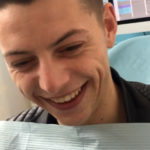 WeLoveTeeth has recently invested in the CEREC system which allows us to produce ceramic dental restoration using advanced computer software in a single visit to the practice. CEREC (Chairside Economical Restoration of Esthetic Ceramics) is a dental restoration device that allows us to produce ceramic dental restorations using advanced computer software in just one visit to WeLoveTeeth. We can now prepare restorations such as crowns, veneers, onlays, and inlays using different types of ceramic material while you wait.